84' Dempo earns a corner, Romeo's run, halted by Keegan. 36' Rooney miss an easy chance, John Menyongar tapped the ball with great anticipation and passed to Rooney, takes a loose shot. 34' Clifford's nasty challenge to John Johnson, earns a yellow card. first booking of the match. 33' a mini clash between Beto and Pawan Kumar inside the box, the later was lying on the ground. 27' Freekick for BFC from the left flank, Johnny to take. 23.31' regrouping phase for Dempo22' With those two quick strikes, it is all BFC at the moment. 18' misspass galore, everywhere - from midfield to Defense. Dempo having a torrid time! 11' And one more, Australian Rooney. as if one was not enough. 2-0! 6' Goal, early inroad and an exciting longranger from Manupuri Siam Hangal 1-0! 2' wayward shot, wasted. 1.50' freekick for Dempo, Clifford to take. 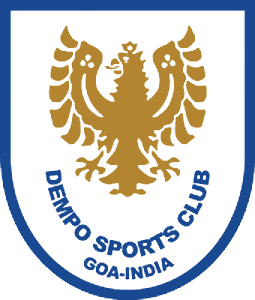 0.01' Match kicks off, Dempo attacking from left to right. Hello folks, R-5 of Airtel I-League and BFC Vs Dempo this time, GCSStars.com will go live from 3.15 pm!